I got the jar out with some glue and some bits to stick to it with Daisie so she could decorate a side and Issy do the other but Daisie stuck one or two bits on and then wandered off to do her own thing instead. So abit of a fail, Issy is yet to decorate her side but in the mean time I've been busy filling it with all sorts of things we could get up to over the summer holidays! 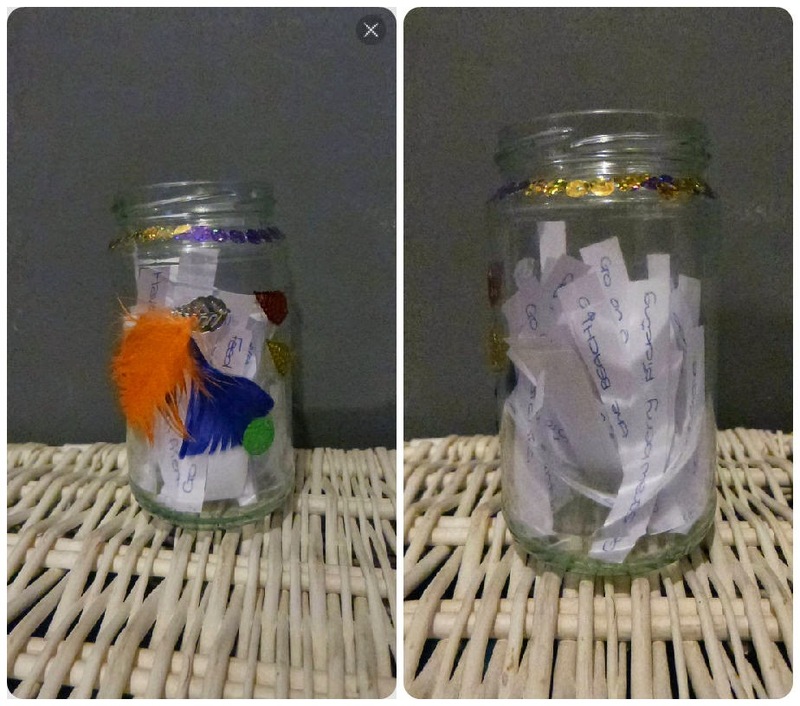 We can use this jar in two ways take a look at the things we could get up to that day and pick one OR pick one at random and see what the jar decides for us. but wheres the fun in that for the girls? Do you have a summer bucket list? Is there anything you suggest we get up to this summer holidays? I LOVE this idea!!! I'm not very good with suggestions, but I think a picnic is always fun! I'd like to ask the kids for a few things they'd like to have in there too!